The follow message will display. Please now go to your email inbox. 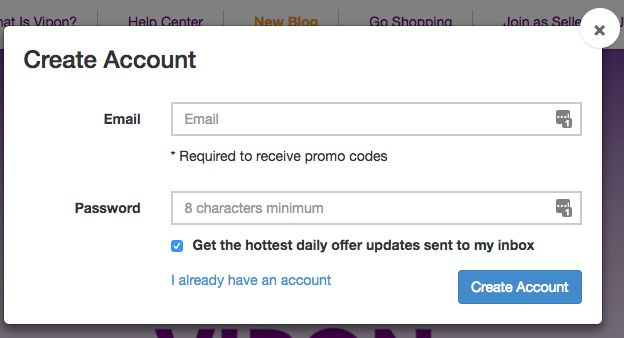 To Verify your account, please go back to your email that you signed up to this account with. Click on 'Click here to confirm your email'. If there is an error then please refresh your browser and try again. Or use a different browser. A new window will open for Vipon to confirm the verification. Click on 'here' (or the 'Shopper Sign In' link at the top). Use your new details to log in. If you get an email verification error, please try verifying the email from a different browser. 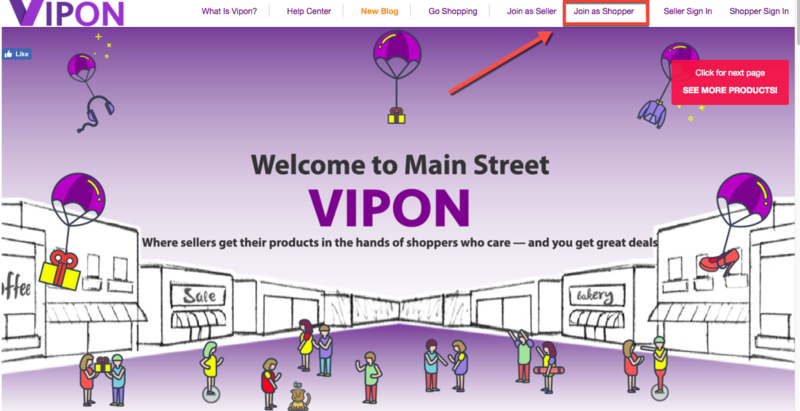 Now, you're ready to start browsing the Vipon site and request products deals you're interested in.